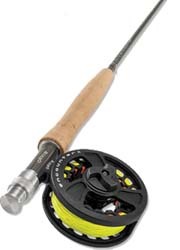 The 8'6" 5-weight is the best all around freshwater rod for trout and light bass fishing it is considered to be the perfect first rod for any fly angler. Small streams, big rivers, or ponds and lakes, this new 8'6" 5-weight Encounter rod outfit is the perfect answer to the question, "What's the first rod should I buy?". Orvis Encounter 906-4 Outfit ! 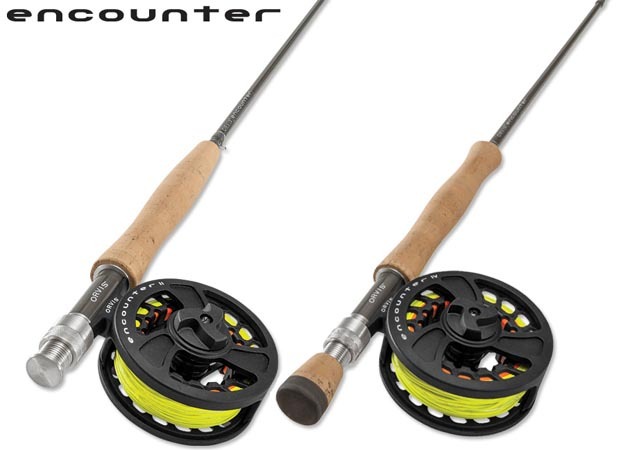 The 9' 6-weight Encounter rod outfit is easily the best value-priced outfit of its kind. This is the perfect backup for an experienced traveling angler or for a new angler who plans to spend most of their time on bigger trout waters. The 9'6" 6-weight Encounter rod outfit is a powerful big-water trout rod with that extra length that's perfect for reaching out on long mends or high-stick nymphing. Excellent option for light steelhead as well. Go with confidence and a wallet that's still intact. Orvis Encounter 107-4 Outfit ! 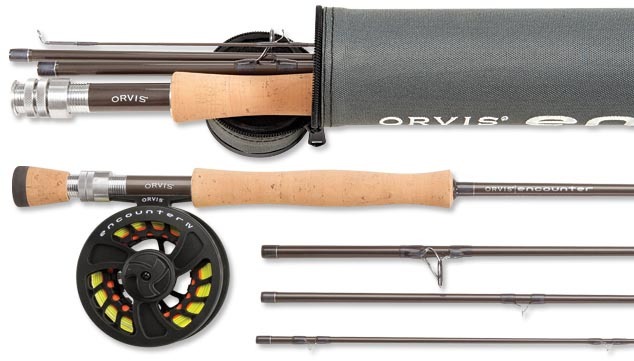 The 10' 7-weight Encounter rod outfit is easily the best value-priced outfit of its kind. This is the perfect backup for an experienced traveling angler or for a new angler who plans to spend most of their time on bigger trout waters. This solid 9' 8-weight Encounter outfit has all the power and performance anyone could ask at a price that will have you wondering, what's the catch? 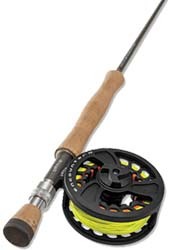 Backup or first big-game rod outfit, this is the finest you will ever buy at this price.